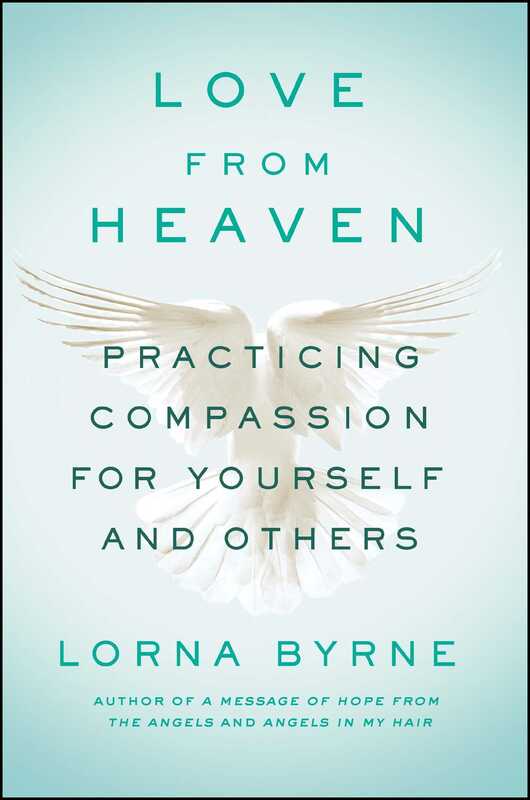 Bestselling author and mystic Lorna Byrne teaches us how to have more compassion for both ourselves and others and to see all the love around us in this powerful and moving book—perfect for fans of Louise Hay and Doreen Virtue. Lorna Byrne, an Irish mystic, has been seeing angels since she was a baby, but she sees even more than that. In Love from Heaven, she reveals for the first time that she sees love as a physical force. Lorna first became conscious that the angels were teaching her about love when she was five years old, and today she can see how love manifests in each of us. She sees that newborn babies are full of pure love and that many teenagers and adults seem surrounded at the heart level by a transparent but ironlike band, which restricts that love. We are all pure love, but nine out of ten of us have locked away most of this love within ourselves. This love remains there, though—indestructible and ready to be released, if only we can learn to love ourselves first. Love from Heaven will transform the way you think about love, stir up the love within, and make you more compassionate, leading to a happier life for you and those around you. We are all pure love. But most of us have locked away this love within ourselves and don’t let it out. This love remains there, though. We can lock love away but we cannot destroy it, and we always have the potential to release it. We release it first by learning to love ourselves again. If we are unable to love ourselves, we are unable to love another. Love is the most powerful force in the world; it comes from our soul, it comes from heaven. It’s love that brings all the joy and happiness into our lives; it’s love that helps to steer us in the right direction and drives us forward, regardless of what is going on in our lives; it’s love that makes living worthwhile. Love is like the sun; it’s our life force, it transcends everything. And yet the angels keep showing me how little love most people feel for themselves and, as a result, how little love there really is in our lives—and how much more there could be. The state of our world today is evidence of this absence of love. People often think that love should be all sweetness and light—but the truth is, love frequently hurts. When we open ourselves to love, we also open ourselves up to being hurt. So many of us have learned from the time we are children to harden ourselves, to lock away our love for fear of being hurt. In locking away this love we make ourselves and our world much more coldhearted, selfish, and sadder. In locking love away deep within us, we diminish our humanity. Ever since I was a young child, the angels have been teaching me about love and helping me to see the force of love physically. I see angels all the time. I cannot remember any time when I have not seen them. From the moment I opened my eyes after I was born they were there—even though I did not know they were angels. I see them physically as clearly as I see my daughter sitting across the dinner table. There has never been a day when I haven’t seen angels. Angels are my best friends, my companions, and my teachers. The first time I was conscious of the angels teaching me about love was when I was about five years old. I was sitting at the kitchen table at home in Old Kilmainham, Dublin, with my mum and da, and my sisters. There was a visitor there, and this person had brought a wonderful treat: a chocolate cake. We children were so excited, as my parents could rarely afford to buy a cake. The table was surrounded by angels. One of the angels told me to watch my father carefully. I did as I was told. As I looked, I started to notice what appeared to be a soft mist coming gently from my father. It seemed to come from every pore of his being, from his whole body, and moved in the direction of my mother. I looked over at Mum and realized that there was a similar mist coming from her. The two mists touched and intertwined. The mist had no color, but sparkled in the way ice would in the sunshine. This was the first time I was aware of physically seeing the force of love, and I wouldn’t have seen it without the angels’ help. My da was cutting the cake and started to serve me first but my mum stopped him, saying sharply that my sister should get the first slice. My da looked up as if stung and the mist seemed to pull back toward him. The love force I had seen between them had disappeared. The angels told me that my mum’s angry comment had made him pull back his love and lock it away. Da was hurt and confused because he hadn’t consciously chosen one child over another; he was serving me because I was nearer to him than my sister. This was to be the first of many times I would see this love force. I see it when someone is thinking loving thoughts about someone or something. I don’t see it with everyone or all the time. To be honest, I don’t see it in the abundance I would like. I probably see it with one out of every twenty people I come across on a normal day. I am still struggling to describe further what this love force looks like. It’s not a bit like an aura or energy, or a ray of light. It’s sometimes completely different, yet quite visible to me. The angels haven’t just taught me to see the force of love, they have also taught me to see and measure its intensity—like different temperatures. Love is the most powerful force in the world. Angels have taught me everything I know. Angel Michael and Angel Hosus are probably the angels who have taught me the most—apart from my guardian angel, whom I am not allowed to talk about. I first met Angel Michael when I was a very young child. He almost always gives me the appearance of a handsome man. I first met Angel Hosus around the time that I first saw the physical force of love. He gives the appearance of an old-fashioned schoolteacher with a gown and a funny-shaped hat. He is full of knowledge and wisdom and is great at cheering me up and giving me confidence. He started all those years ago in school when I struggled because of my dyslexia and felt very stupid, and he helps me now when I’m writing and doing interviews. There is another angel whose name I don’t know, who I have never even seen properly who is there to teach me about love. This angel was there in the kitchen when I saw the love between my mother and father, and is here with me now as I write about the love force. The angel always seems to be to my right, slightly behind me and out of my line of vision; it’s as if I am not allowed to see any more of it. I have no idea why. I have asked about this angel but been told no more about it. I think of it as a special type of teacher-angel sent to help me understand more about love so that I can share it with you. After the angel with no name had shown me how to physically see the force of love, it started teaching me to measure its intensity. As I was only six or seven at the time, this angel taught me using my fingers. When it wanted to indicate that what I was seeing was love force of an intensity of three, it would bend down two fingers on my hand, to leave three fingers up. It stood behind me doing this, and whenever I tried to turn around to look at the angel I seemed to be physically incapable of doing so, as if some force was stopping me. If I had learned to measure love force as an adult, I think the angel might have taught me differently. But this is the way I learned it, so this is how I still measure the intensity of love today. Most love that I see I measure as being between one and ten, but occasionally I have the privilege of being shown love that is completely off this scale; I think of it as one hundred. This number—one hundred—was the biggest number I could comprehend as a child when the angel with no name was teaching me about this. An intensity of love of one hundred is so beautiful to see. It reflects the purity of the love coming from the person. It’s so hard to describe, though; it’s crystal clear and full of a warm light and the force of love shines all around the person and from them. It gives me enormous joy when I see love of this intensity. It overwhelms me emotionally and leaves me hardly able to speak. It touches me deeply and stirs up the love within myself. I can feel the effects of it weeks later. I have no way of knowing whether I feel the force of love differently from others. The angels have told me that everyone has the potential to feel love. It may be, though, that because the angels have made me very conscious of love, and have taught me how to see it physically, that I am more sensitive to feeling it than others. The angels have also told me that God has allowed me to see the force of love so that I can help to stir up the love that is within all of us. We are all born pure love. As a baby in our mother’s womb, we all love unconditionally. Every one of us, regardless of whether we are wanted, or whether our mums have an easy pregnancy or labor, glow with pure love when we are born. As newborns, we know we are perfect and deserving of love and feel pure love for ourselves and everyone around us. Almost immediately, though, this love force begins to diminish. Even with the most loving mother and father, the baby starts to feel the coldness and lack of love in our world and starts to protect itself by locking away this love inside itself. The angel with no name taught me to see what it looks like physically when we lock our love away. I was about eight when I was taught this. We were living in our cousin’s house in Ballymun after the roof of our house in Old Kilmainham had collapsed. It was a beautiful spring day and I was walking back alone from the shops, having bought some milk for my mother. The angel with no name appeared beside me. There was a group of young boys playing on the street and the angel pointed out a scrawny boy of about five in shorts with a shirt hanging out and told me to look at him carefully. As I did, the boy turned to look in my direction. The angel allowed me to see what looked like a band around the boy’s body at heart level. It’s hard to describe; it was transparent, like a sheet of ice. It was as if the love inside him was locked away so that he was not open to being hurt again. The angel asked me if I could feel anything. I could feel the boy’s hurt and pain, and I could also feel the love that wasn’t being allowed out. It tore me apart. I wanted to give him a hug; I walked toward him and, as I got closer, I could see tears in his eyes. I said hello and reached out to him, but as I did he turned away. The angel told me that he had locked away his love and was afraid of my affection, or anyone else’s. I was sorry I had no sweets in my pocket that I could give him. I asked the angel, in the way an eight-year-old would, whether a sweet would help. I couldn’t see the angel’s face, but I felt as if it was smiling as it replied that kindness, a loving gesture, from a stranger, or from anyone, could help him to unlock some of this love. Sometimes unconsciously we unlock some of our love. When we hear of a tragedy in another part of the world we may be engulfed by a feeling of enormous sadness and compassion. We don’t know the people affected, but we feel for them. We are touched. The love within us is stirred up and we allow some of it out. I remember coming across a woman on the street just after the news broke of the 2004 tsunami in Southeast Asia. I hadn’t yet heard about the disaster so I was astonished by the strength of the love I was seeing coming from her, and I didn’t know what had caused it. It was like a whirlwind of love coming from every part of her being. It was as if the defenses she had built around herself to protect her from the pain of love had been blown away by the strength of the emotions and love she was feeling. We feel love through our emotions. And emotions stir us up, helping us to release the love inside that we may be trying to keep in check. Many of us do our best to stop love from being stirred up inside us, to stop ourselves from feeling this compassion. We decide that if an event doesn’t affect us personally, we shouldn’t be moved by it—that it doesn’t affect our lives. But it does. When we don’t let ourselves feel emotions such as compassion and love for our fellow human beings, even strangers, we become less human and this allows emotions such as hate and anger to flourish. We become colder individuals, even to those who we care for. We also forget to care for and love ourselves. The angels tell me that loving ourselves is very important for our happiness. I am shown that most people don’t love themselves enough. It’s as if we have forgotten the importance of loving ourselves. Again, the angel with no name who has taught me so much about love taught me how to recognize the force of love when it is directed toward loving oneself. To be honest, I didn’t often see it in my own immediate family when growing up. The first time I remember seeing it was when I was seven or eight. I remember going to a Christmas party at my granny’s house. There were lots of people there. The angel with no name told me to look into the sitting room. My uncle Peter was sitting there perched on the arm of a big comfortable chair. As I watched I could see the force of love emerging from him, coming forward, and then moving back toward him like a wave. I could see it was the love force, the same I had seen between my mum and da, but it was as if he was being showered with the love that was coming from within. He looked so happy in himself, happy just to be. His love for himself was so attractive; I wanted to be with him. At that moment he saw me and called me over. I sat happily on his knee and could see and feel the comfort and consolation of his love for himself. Every so often it would make me giggle, and Uncle Peter would look at me inquisitively as if wondering what this funny little child was thinking. Love, for ourselves or another, helps us connect more deeply with our spirituality, with our soul. If the only thing you take from this book is to learn to love yourself more, it will make a big difference in your life, and the lives of those around you. In the next chapter I’m going to tell you a lot more about why this is so important, and how you can love yourself more. Each and every one of us, regardless of religion or beliefs, has a soul. God loves us all so much that he has given each of us a little speck of himself. This speck of the light of God is our soul. We connect more deeply with our soul when we open ourselves up to love. Love is love; it’s always the same, but the angel with no name has shown me that many people have a very narrow view of love—they simply see it as something between a couple, or within a family. I meet so many people who are crying out for love, but they think the only way to get this love is through a romance, and because of this they are failing to see the love that is already in their lives. They fail to recognize there are many different ways in which we can love. One day, when I was about eleven, I was out in the old coach houses at the back of the big hostel where my granny worked in County Clare. The angel with no name came and told me to follow my granddad quietly so I wouldn’t be seen. My granddad was a quiet man who had lost a leg in the fight for Irish independence and, as a result, had difficulty walking. I followed quietly as he walked into one of the sheds and peeked inside. I could see love pouring from my grandfather, even as I saw a look of shock and distress on his face. At the same time I was wondering what was going on. I watched as he took a white handkerchief from his pocket and, with great difficulty, leaned down toward the ground. When I saw what he had picked up I understood what had happened. In the handkerchief were two tiny birds—baby swallows. There was a swallows’ nest high up on the wall and somehow, I have no idea how, these two little birds had fallen out. My grandfather moved toward the shed door with difficulty, holding his stick in one hand and the two little birds carefully cradled in the other. When I walked into the kitchen shortly after, I found my grandfather had lovingly put the little birds in a box to keep them safe and was feeding them warm milk through a little dropper. He cared for the birds in this way for some weeks, sometimes allowing me to help feed them, before the birds were strong enough to look after themselves and he let them go free. The angel with no name has told me that love is love, but that we can love in so many different ways. We all have pure love inside us. We were full of love as newborns and, no matter what has happened to us since then, it is still there. Regardless of what life has thrown at us or what we have done to others, the love within does not diminish. But we all lock much, or all, of this love away deep within us. We need to learn again how to let it out. Feeling love for anything helps us to stir up that love within us, and allows us to release more of it. Love is stirred up through personal experience of love: feeling it, thinking loving thoughts, or seeing it. We learn to love from each other. The angels have told me we can all learn to love more frequently, and with a greater intensity. This is why I have written this book. 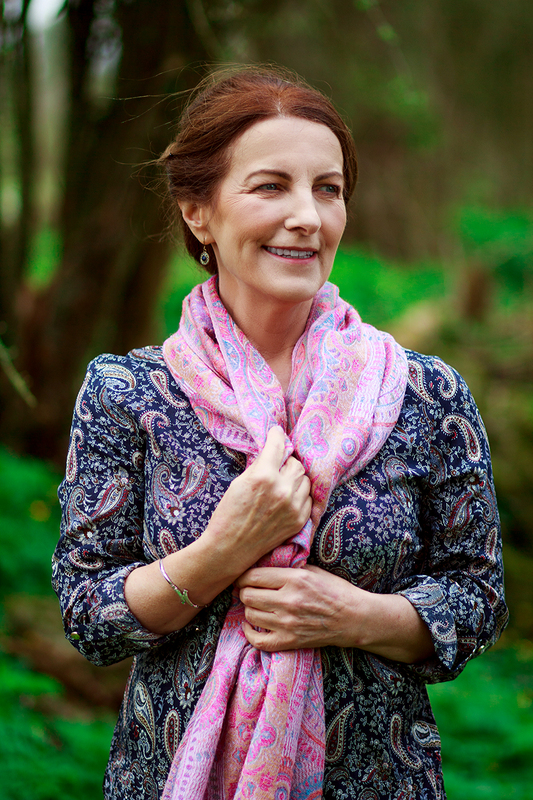 Born in Ireland, Lorna Byrne is the author of international bestsellers A Message of Hope from the Angels and her autobiography Angels in My Hair, which has been translated into twenty-six languages and sold in more than fifty countries. For more information, visit LornaByrne.com. "Byrne gives hope and a sense of peace; something that the Church, in many instances, has been unavailable to do for a long time."